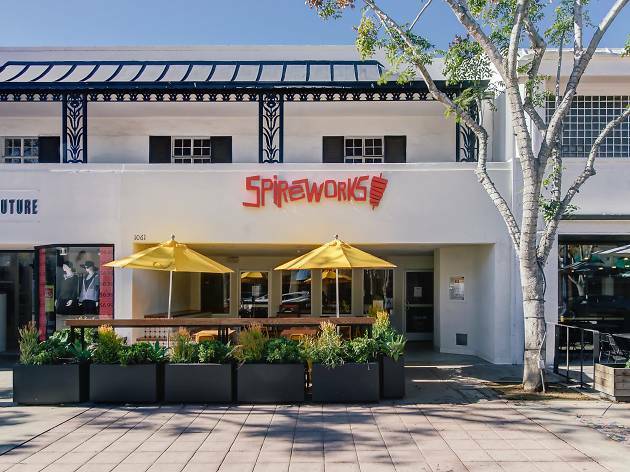 If you have a hankering for savory, finger-licking kebabs, laid-back Westwood Village eatery SpireWorks knows just how to satisy your taste buds. Head to the Turkish, hole-in-the-wall restaurant for delicacies crafted around the traditional Turkish döner, a mouthwatering kebab recipe made of vertically split roasted meat. Step up to the counter and choose a base of either freshly baked bread, wild rice or greens, then top it off with a choice of beef, chicken or veggie köfte; design your own dish with diverse toppings ranging from a thai curry coconut crumble to pickled cauliflower and a tamarind chutney. 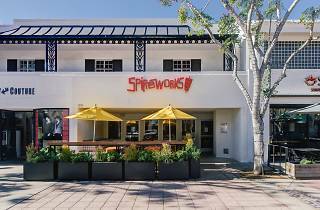 Plus, SpireWorks has a selection of signature bowls inspired by destinations all around the world, from Italy to Bangkok. Is your mouth watering yet? Us too.